Join the online meeting by clicking the host’s online meeting link and connecting with the FreeConferenceCall.com desktop application (recommended) or Web Viewer. Note: VoIP and video are not supported through Web Viewer when using Internet Explorer or Safari. Open the invitation from the host. Click the online meeting link. If you have the FreeConferenceCall.com desktop application installed (recommended), it will automatically launch when you click the online meeting link. Click Join and enter your name, email address and the host’s online meeting ID. 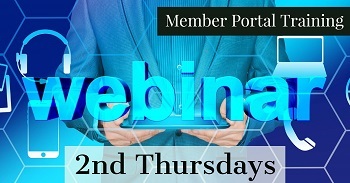 To join the audio portion of the online meeting, call the dial-in number and enter the access code followed by pound (#) or click Headset to connect through VoIP. If you do not have the FreeConferenceCall.com desktop application, you will be connected through Web Viewer. On the Web Viewer pop-up window, enter your name and email address and click Join Now. Note: If you do not see the host’s screen, the screen sharing session may not have started yet. The screen will appear automatically once it begins. Note: If you do not have the FreeConferenceCall.com desktop application, go to www.freeconferencecall.com and click Get Desktop App at the bottom of the page to download or you will be prompted from the Web Viewer window.